You wouldn’t think that Fantasy Fantasy’s cacti enemies would have terrific tushies. Then again, you’ve probably never thought about their backsides. 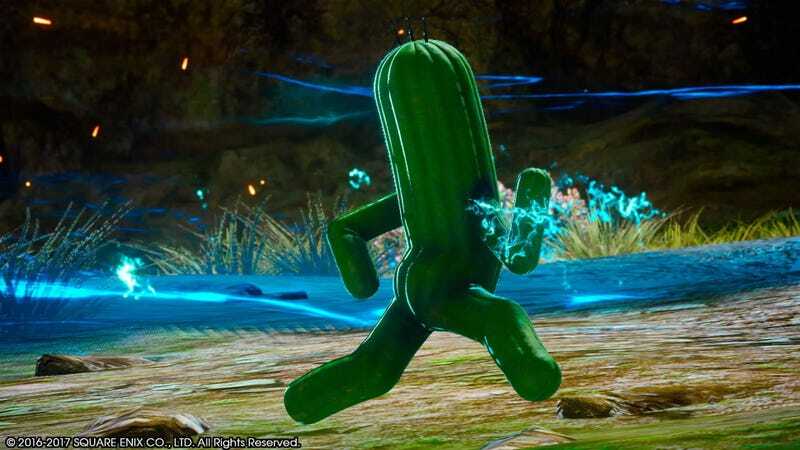 Typically, when Cactuar is depicted, the reoccurring character is shown in a dash pose. We usually see a Cactuar head on, so there isn’t that much of an opportunity to check out the caboose. According to Kupokupo, the image hasn’t been altered. It looks like the light has struck this Cactuar’s keister just right. This isn’t the first time folks have noticed Cactuar derriere. It must be all that running.